High spec. modern and contemporary fully furnished office accommodation available on flexible terms in this business centre located on a 79 acre business park. Facilities include air conditioning, car parking, 24hr access, professional meeting rooms, reception staff, on-site support teams, kitchen areas and a cyber café. Durham and Sunderland railway stations are a 10 minute drive away and Newcastle and Teesside airports are just a 30 minutes’ away. The A1 is also easily accessible with public transport with local bus routes nearby. Approximately five miles from Sunderland City Centre and part of a key business park location, this two-storey, self-contained building provides predominantly open plan office space that has been finished to a high standard. Business Centre comprising a number of serviced and self contained office suites, many with their own entrances and built around a courtyard. Services include extensive onsite car parking and admin support services. Located in Sunderland City Centre close to shopping centres, leisure facilities and 5 minutes’ away from Sunderland Train Station. Offices spaces available to let, one of which has two smaller offices inside within. Located within easy reach of local transport networks and amenities. 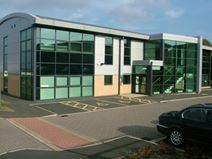 Business centre located in Tyne & Wear on the outskirts of Sunderland City Centre, comprising of studio and office premises on flexible terms, ample parking onsite, 24 hour access and security and an impressive modern reception area. Access to leisure facilities and amenities, situated 12 miles east of Newcastle Upon Tyne and 13 miles north of Durham. Self-contained pavilion style office buildings within this development with frontage onto North Hylton Road. The possibility exists to split each office into two self-contained suites or to combine units to create larger accommodation. Located near the A19, providing easy access to the regional road network and is approximately 2 miles from Sunderland City Centre. Riverside business village with offices located within a high quality business park environment. Dedicated parking, onsite security, optional air conditioning and door entry system available on flexible terms. Located on the Northern Bank of the River Wear adjacent to the Queen Alexandra Bridge. Access to Sunderland City Centre and the regional and national road networks is provided via Alexandra Avenue and Wessington Way (A1231) which in turn links up with the A19 and A1 (M). Newly refurbished industrial building located just 2 miles from the city centre featuring showrooms, units and light spacious industrial units. 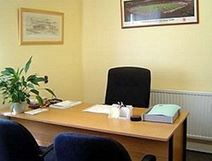 Include free onsite car parking and personalised signage, spacious meeting/conference rooms, professional and friendly management team and 24 hour access/security. This business centre offers excellent facilities which are perfect for businesses of all shapes and sizes. There is a fully staffed reception that offers administrative support and an on-site nursery for childcare needs. The site boasts ultra-fast broadband, bike racks, showers, ample parking, an on-site café, 24-hour access and meeting rooms. Located just off the A19 and on a popular bus route, this centre is well-connected.